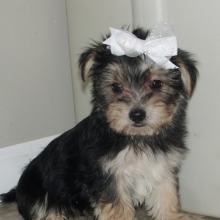 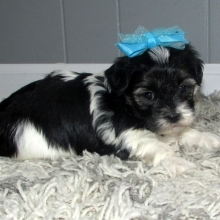 The Morkie is a cross between a Maltese and a Yorkshire Terrier. 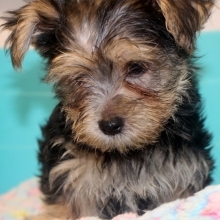 Both parent breeds are known for having a lot of personality, so it doesn’t come as a surprise that the Morkie does as well! 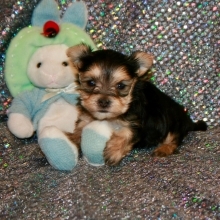 Morkies are inherently happy, loyal and strive to please their owners. 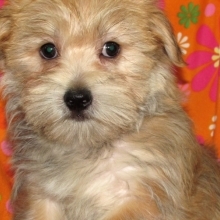 They love to play and exercise, and are confident around other pets and strangers. 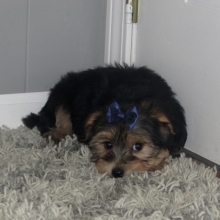 As long as they have a lap to sit on, they do equally well in apartments or larger living spaces.